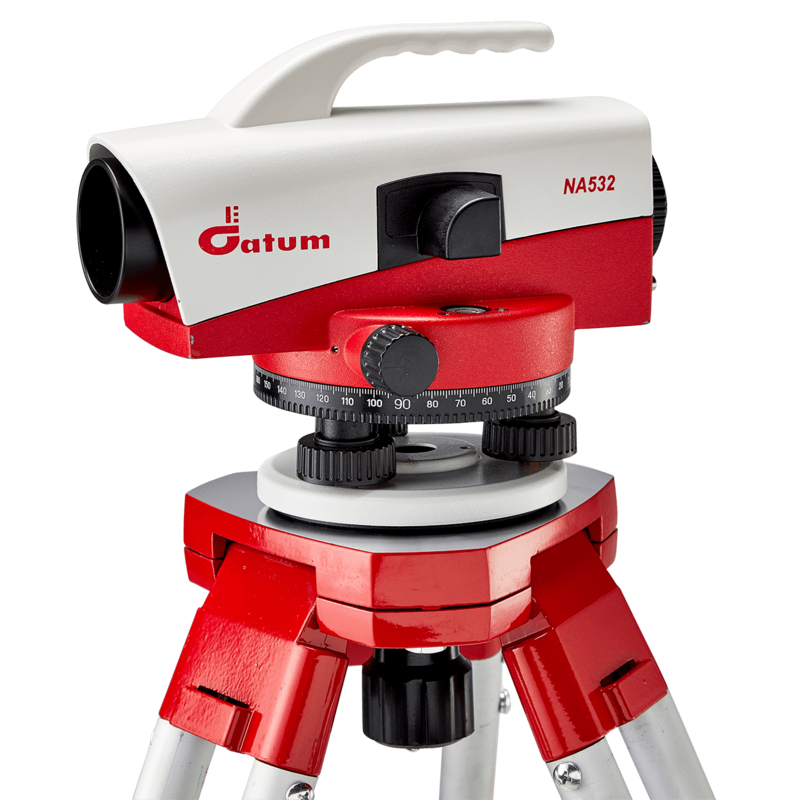 The Datum NA532 Automatic Level is perfect for most types of surveying jobs including engineering projects and routine levelling on building sites. Meeting the requirements surveyors need for precision levelling, the NA532 offers extreme quality at excellent value for money. Designed to be durable on site, the NA532’s cast metal casing is packed with features that surpass its price tag. This robust instrument has 32X magnification, an accuracy rating of ±1mm per double km run and the impressive optics display crisp images, making staff reading clear and simple. The NA532’s rugged design combined with its high accuracy ensures surveyors can tackle any site challenge with ease. The Datum NA532 has a built-in 360º horizontal circle that assists operatives turn out angles, and the integrated compensator check button assures the user the system is working efficiently. The NA532 even has an added bonus with the built-in handle that makes carrying and mounting to tripods quick and safe. Now on sale, all surveyors alike can get a hold of the quality instrument for an exceptional price of £195.00. To buy the Datum NA532 Automatic Level, or for more information click here.